IS FEARR EOLAS NÁ IONTAS. Better to be knowledgeable than taken by surprise. Or maybe 'Forewarned is forearmed', and who knows better than a wise old owl or Ulcabhán in Irish? Lighter-weight female loose-neck sweatshirts. Really soft cosy feel. Available in two slightly mottled colours: Red Heather and Navy Heather. 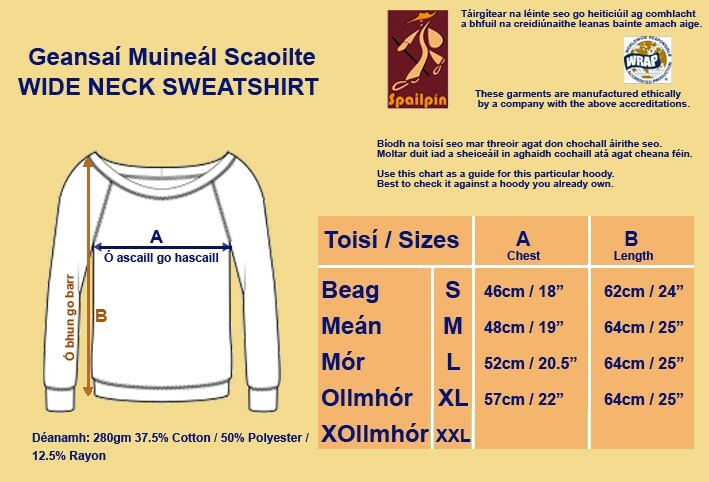 These are very high quality sweatshirts, manufactured from 50% Polyester, 37.5% Cotton, 12.5% Rayon.